Practical explanations and examples. Includes a look at contextual highlighting with ‘mark’, quotations with ‘q’, and more. The styling has been updated and the spec is now easier to read than ever (although it certainly isn’t bedtime reading). 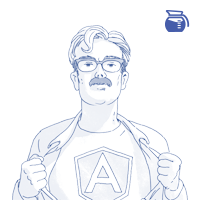 Instant performance insights, built for AngularJS developers. Pinpoint performance issues with a breakdown that makes sense. Sign up for early access. Mozilla’s VR team is working hard to support the creation and display or VR content in the browser. Casey Yee looks at what’s happening. A look at Google’s AMP (Accelerated Mobile Pages) project, why it’s worth exploring, and a quick look at how you can convert an existing Web design to using its principles. A look at a new Web standard aimed at improving performance and providing more granular control over loading to Web developers. Mozilla wants the DevTools in Firefox to be as hackable as the Web sites you’re working on. Reload lets you make changes to the tools themselves in real time with automatic reloading. Roll out features faster with Corgibytes on your team. Describes an imperative API enabling a site to request credentials from a user agent, and help the user agent store user credentials for future use. A spec defining a simple way for pages to request you notify them when you link to them. Cohost of Toolsday and a developer on IBM Design’s Cloud Platform Team. CFP is currently open if you want to speak.